Like many others I started working on guitars as a teenager, playing in bands, customizing and modifying. 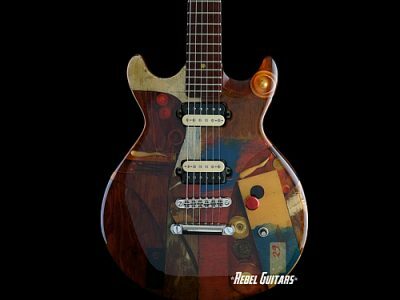 It was still a time where a custom guitar was way cooler than a stock model. At the time stock instruments were also rather lacking in quality. A few early 70’s SG’s, Strats and Les Pauls received added pickups, stereo wiring, new finishes and similar treatments, which would make today’s vintage-crazed guitar lover shudder. But we relished the individuality of our guitars and obsessed about improving them and obtaining optimum playability. From this I took a basic understanding of guitar craft and a view towards designing guitars that don’t necessarily follow the conventional mold. Eventually I started developing new concepts. 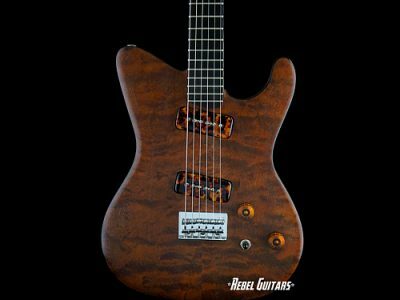 My background in the arts led me to develop the ‘resinTop’ line of guitars: Totemguitars. A more sculptural and materials-oriented approach resulted in the development of the hybrid line, combining metalwork with woodworking. Exploring new venues and concepts while strinking a balance between functionality and aesthetics proved to be a fertile field. 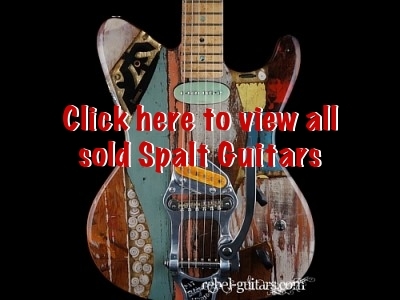 View the Spalt Instruments we’ve sold.